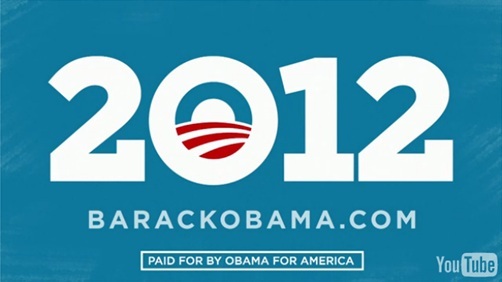 This morning, an email was sent out to announce President Obama’s re-election campaign. You can read it at the bottom of this post. We aren’t surprised by the method of the announcement as the President tries to maintain a grassrootsy feeling campaign through an email and a video focused on activists. We are surprised by the timing. Last week, President Obama announced U.S. air strikes in Libya and polling shows only 47% of Americans thought it was the right decision. For the record, we do think it was the right decision and we are not attacking it. That said, we do see the valid argument from 50% of Americans that do not believe the U.S. has a clear goal in Libya and perhaps that should get worked out sooner than later. Then we have the looming budget shutdown that will occur this Friday if a deal is not cut between Republicans and Democrats in Congress fighting it out over spending cuts. There were talks over the weekend but the bottom line is the proposed bill needs to be filed by Tuesday night for a Friday vote since bills now need to be posted for 72-hours prior to a vote. Presidential leadership could be helpful. We are not going to say that sending an email and approving a video are things that would keep the President from attending to these matters. He has plenty of lackeys to deal with such things. What we will say is that there are a lot of important issues and it does not send the right message that the President is spending any time focusing on a campaign that does not need to begin quite yet. We get it. They want to get moving and get their grassroots teams moving. But let’s face it, they did not need to announce this week for that to happen. Organizing for America is up and running since it never shut down. They could easily begin building the ground game and announce at a later date. The Republicans aren’t breathing down their neck just yet and no one serious is going to challenge him in a primary. From a team that we admit is generally political savvy particularly on messaging, the 2012 team seems to be starting off as amateur hour.